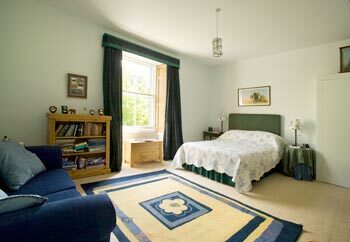 There are three bedrooms for guests at Mansefield. One double with ensuite, one twin with shower room and another double with an additional sofa bed and bathroom. Please phone Pippa to discuss your requirement as she is happy to help organise the rooms for your group. 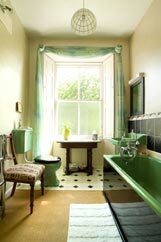 The private bathroom has a classic 1940’s cast iron bath with shower attachment. Nearby is one of the double bedrooms which can also share the bathroom. But note: you will not be sharing the bathroom unless you are a party of friends or family who are happy to share!